This is the best place to get your registration done is very affordable and everything is done instantly like renewals title changes vin verification boat and trailer sticker, is very hard to find an office like this one I recommend it to everyone reading this. 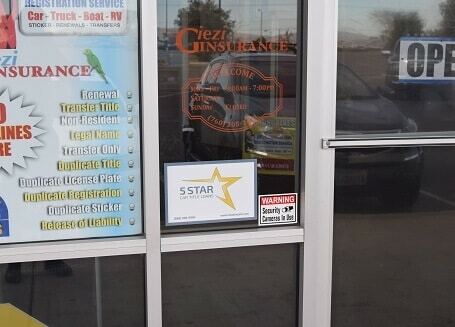 Geizi Insurance Services provides registration services for 5 Star Car Title Loans customers. 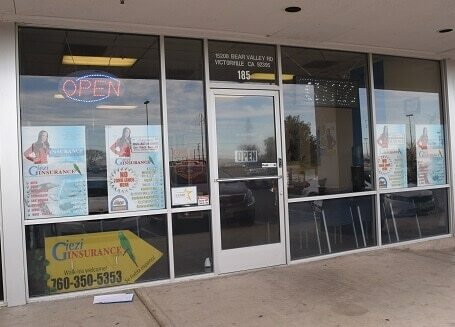 The store is located at 15208 Bear Valley Rd. #185, near the intersection with Balsam Ave. If you live in Victorville and in need of registration services, stop by Geizi Insurance Services that works with 5 Star Car Title Loans in Victorville. 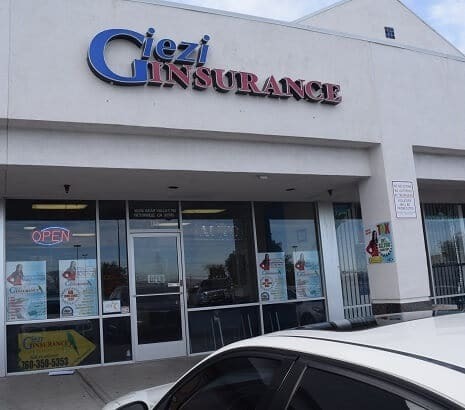 Geizi Insurance Services provides our clients with unmatched customer service. 5 Star Car Title Loans does not issue loans at this location. Getting fast loans in Victorville isn’t hard at all if you own a private car. When you send in an online car title application to 5 Star Car Title Loans in Victorville, you might be approved for an auto title loan beginning at $2,600. No, you don’t need a good credit history to be approved at 5 Star Car Title Loans in Victorville for a fast loan. Everyone has money problems from time to time, so we understand how easy it is to get a bad credit score. We want to help you with a fast loan, so you can stay caught up on your bills. Send us your application and let’s see if we can pre-approve you today! When Is the First Payment of Car Title Loans Online Due? You will need to have your first payment ready to pay 30 days after the date on your contract. From thereon, your payment will be due each 30 days. If you are ready to pay your auto title loan back early, you can do so without paying a prepayment penalty. Contact 5 Star Car Title Loans in Victorville today! At 5 Star Car Title Loans in Victorville, we give auto title loans for longer terms. Instead of the standard two weeks that you get with payday loans, you get a longer time to repay auto title loans. As you pay a sum of your total loan each month, you’ll see the amount you owe go down until you don’t owe anything. That is not the way payday loans work though. With payday loans you can keep paying and paying and still have more to pay! That’s because every time that you want to take a new payday loan, they start over. As they keep starting over, it’s very difficult to ever get them paid off. Apply for online loans for bad credit and get money quickly. Can My Spouse Cosign on a No Credit Check Loan? That is fine, so long as you spouse meets our credit requirements. There are several options for helping you get car title loans online. Having a spouse cosign is just one of those options that might work for you. Call one of our officers to hear about more options.